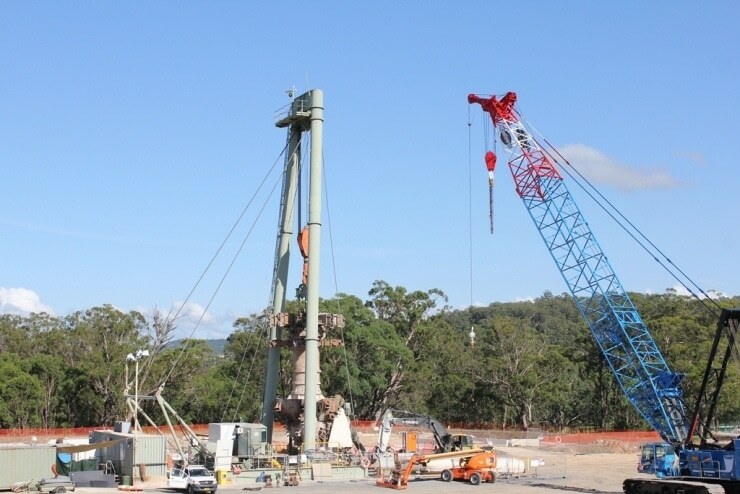 In November 2014, drilling of our southern coalfields vent shaft project reached its target depth of 516m. This is the deepest blind-bored shaft ever constructed by Abergeldie. It is a monumental achievement for the drilling team; even greater considering the shaft’s unusually broad 6.2m diameter and the challenges of very hard rock in the lower strata. Fabrication of the 170 composite steel/concrete liner units was carried out in a temporary factory facility which Abergeldie set up on-site. Each segment is 3m deep, with a finished internal diameter of 5m. Once all the liners were installed, the annulus between the drilled shaft wall and the liners was filled with grout to give a smooth, hydrostatic finished surface. 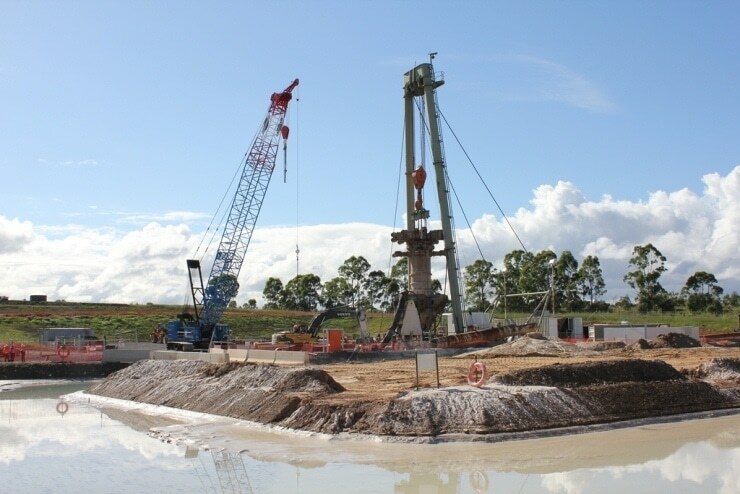 Another of the team’s major challenges was working to the treat the drilling process water. The blind boring process uses up to 18 million litres of water, which carries away the drilled spoil as suspended solids. The concentration of suspended solids can be as high as 70%. The solids had to be removed so that the process water could be reused again and again as boring proceeded.